Every country brings several images to mind when thinking of the place. For Spain, it might be paella, the tasty rice dish from Valencia, and the clapping, stamping feet, and swishing skirts of the flamenco. Of course, you can find these when visiting Spain, but look closer and follow me on a tour that will open new horizons. Spain is divided into fifty provinces, grouped into seventeen autonomous communities. Each has its own history and culture, which already gives you an idea about the plethora of sights to see and things to do. 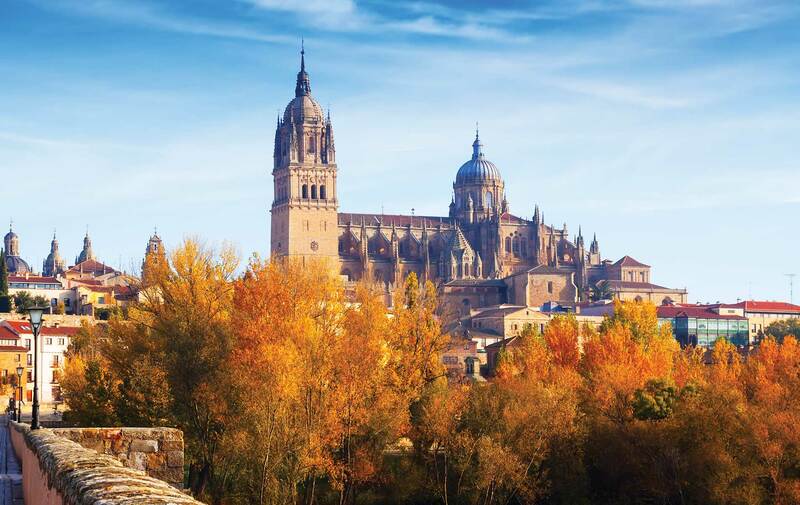 From mountains, rivers, and dense forests in the north to history-laden plains in the middle, and beaches and white villages in the south, España has it all. The key word for Galicia, Spain’s northwestern province, is green. Home to millions of camellias, beech and oak forests, broad rivers called rias, and cities full of history, you’ll be spoiled for choice in Galicia. All that lush vegetation is thanks to plenty of rain, even in the summer, but that’s no obstacle to travel—just pack your raincoat and umbrella. Galicia is probably best known for the city of Santiago de Compostela, the final point of the world-famous pilgrimage route Camino de Santiago, or “Way of Saint James” in English. Devoted pilgrims continue on to the end of the earth, Cape Finisterre, on a particularly wild part of the Atlantic Coast. Below a bronze boot, they burn their travel clothes in a ceremony to celebrate the beginning of a new, spiritual life. Remaining on the Atlantic, visit Vigo, where you’ll find the best and freshest seafood and oysters in a part of the port known as La Piedra. Vigo is also the starting point for a day trip to the Islas Cíes, fabulous islands with white-sand beaches and an emphasis on protecting the environment; no cars are allowed, and if you throw so much as a scrap of paper on the ground, you will be heavily fined. 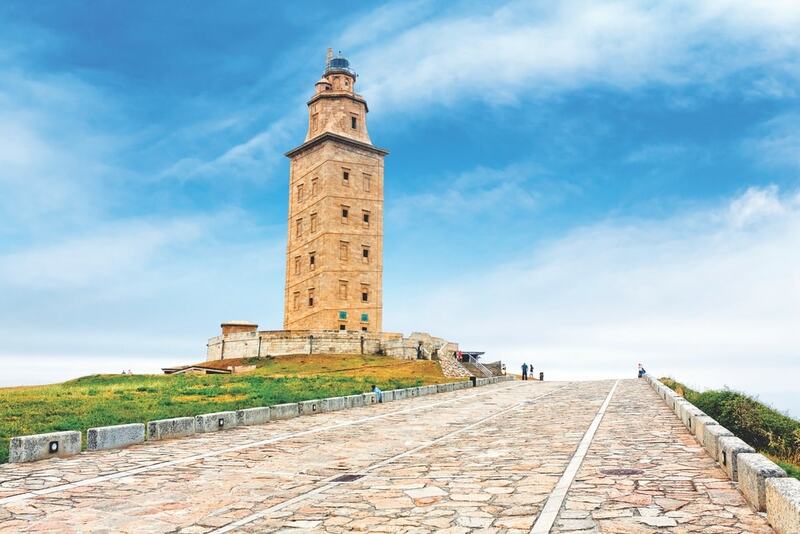 Fans of antiquity must not miss visiting La Coruña and the Tower of Hercules, a lighthouse of ancient Roman origins. Farther inland, enjoy the city of Pontevedra, with typical Galician stone houses, or nearby Padrón, with an excellent botanical garden, the home-museum of the best-known Galician poetess, Rosalía de Castro, and a museum dedicated to Nobel Laureate Camilo José Cela. Continue to the drier and more mountainous middle of Spain and the provinces of Aragon and Castile-La Mancha, the setting for most of the adventure novel Don Quixote. Fans of antiquity must not miss visiting La Coruña and the Tower of Hercules, a lighthouse of ancient Roman origins. Within easy travel distance of Madrid is Ávila, where you can walk along massive medieval walls. A little farther on, in Salamanca, admire Spain’s oldest university and marvel at the beautiful Plaza Mayor, one of the best in Spain. 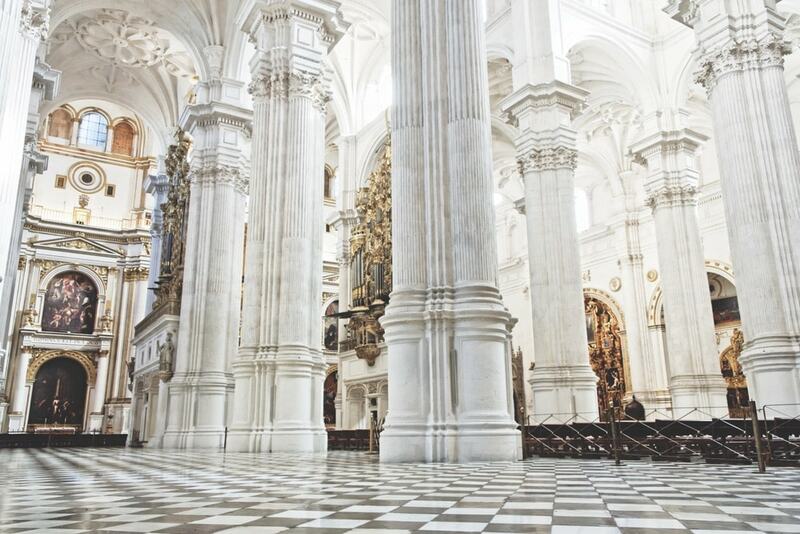 My favorite city is Toledo, where painter El Greco worked and died. The museum dedicated to him is excellent. Nearby, you can experience Europe’s longest zip line, which spans across the Tagus River and provides a fantastic view of this UNESCO World Heritage Site. Wander the narrow, cobbled streets and watch the artisans crafting jewelry, plates, vases, and knives from the gold and black Toledo steel. If you have a sweet tooth, try the tempting creations of marzipan and cakes at many stops around the city. If you love to walk and hike, you must visit the impressive mountain range and nature park of Moncayo, with the medieval town of Tarazona at its starting point. Looking at the snow-covered peak of the Moncayo mountain, you will be forgiven to think for a moment that you are in Japan; it looks exactly like Fujiyama from a distance. You may know that Spain was under Muslim rule for five hundred years until los Reyes Católicos conquered the peninsula in the fifteenth century and established the Catholic Kingdom. The many centuries of Moorish reign left a considerable legacy, most notably in the south, in Andalusia. The best known example of this is probably in Granada, where you will find the Alhambra fortress complex, with its magnificent palace and gardens. If you love to walk and hike, you must visit the impressive mountain range and nature park of Moncayo, with the medieval town of Tarazona at its starting point. In Granada, we finally come to the cradle of flamenco. Sacromonte, a steep hillside opposite the Alhambra, is dotted with countless cave dwellings and tablaos, small venues where flamenco dancers and singers perform the real thing every night. Although it originated in the city of Valencia on Spain’s Costa Blanca, paella in various forms is a favorite dish in Andalusia too. 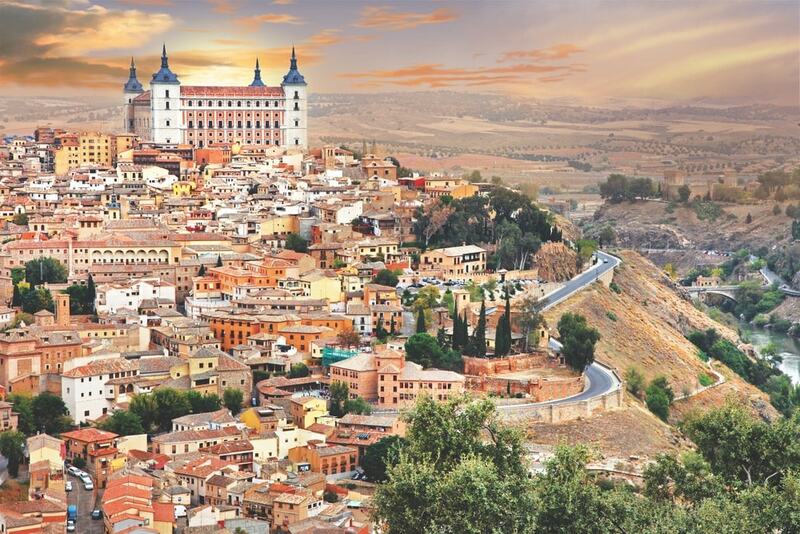 The medieval city of Toledo is a colorful sight beneath the sunset. The Tower of Hercules lighthouse at La Coruña is one of many sites to see in Galicia. It is thought to be modeled after the Lighthouse of Alexandria. 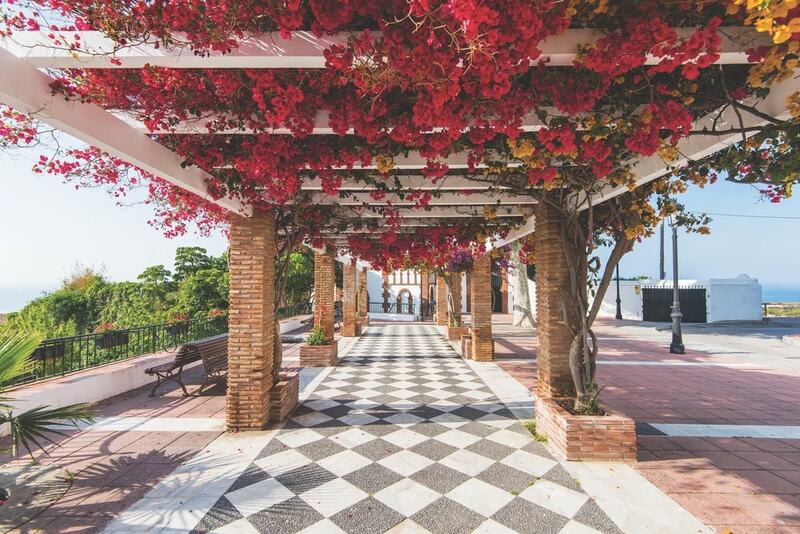 Flowers line the streets at a scenic lookout point in the coastal village of Maro in Andalusia. Follow one of the foremost attractions of the region, a chain of white villages stretching roughly from Málaga to Cádiz. The brilliant white painted houses, sometimes with blue doors and window frames, seem glued to the sides of various mountain ranges. A picture-perfect example is the village of Frigiliana near Nerja. Don’t miss the caves and the Balcony of Europe in Nerja itself, where you have the closest view of the African coast. Another lovely white village is Mijas, which is explored by burro. 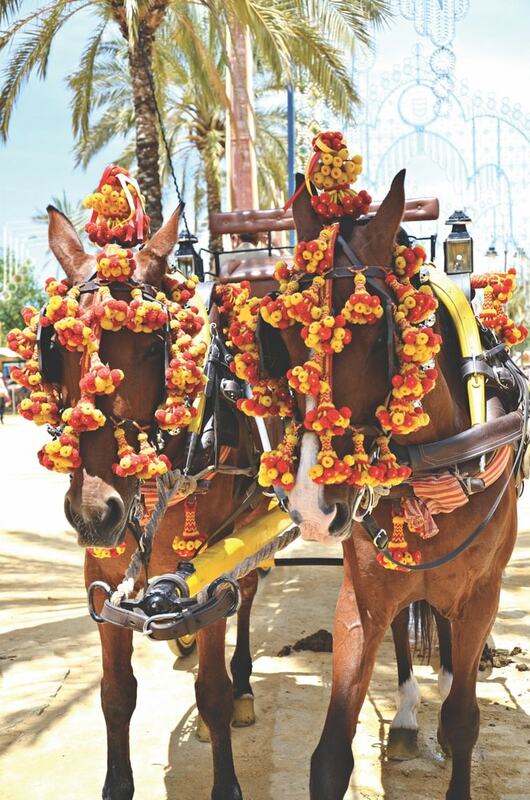 Farther west, we find Jerez de la Frontera, famous for sherry and horses. There are many bodegas here, where you can see how sherry is made and aged in massive oak barrels and, of course, taste the many varieties. Be warned—the fumes alone can be enough to make you dizzy. See a performance of these beautiful horses and the skilled riders in their distinctive costumes at the Royal Andalusian School of Equestrian Art. Equally essential to Jerez are its horses, a unique breed raised only in the area. See a performance of these beautiful horses and the skilled riders in their distinctive costumes at the Royal Andalusian School of Equestrian Art. Last but not least, the broad, white beaches of the Costa del Sol need to be mentioned. All of them are Blue Flag certified, and most are family friendly with an easy approach to the water. This area of Spain is very popular with tourists, and even the widest beaches can get crowded in the summer; all of the resort towns, such as Marbella, can be quite expensive. 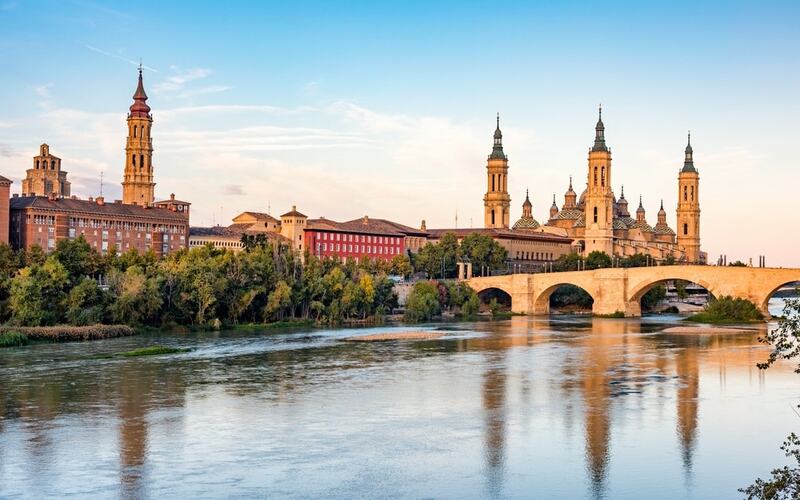 As you can see, Spain has many faces and regions to explore when you venture off the tourist trail. Plan your voyage and come home with a very different impression of this beautiful country. Inka Piegsa-Quischotte is an international attorney turned novelist and travel writer. After five years in Turkey, she now lives on Spain’s Costa Blanca. Her articles have appeared in BBC Travel, BBC Sky at Night, Europe Up Close, GoNomad, and many more. Her blog, GlamourGrannyTravels.com, is dedicated to female baby boomers.